Protect your glass shower with EnduroShield, and spend less time scrubbing and cleaning. EnduroShield is a long-lasting protective coating designed to help protect against stains and other shower build-up. Clayton's Glass highly recommends this excellent feature as it adds to your glass shower investment and cuts down on maintenance time. With EnduroShield you can't go wrong! 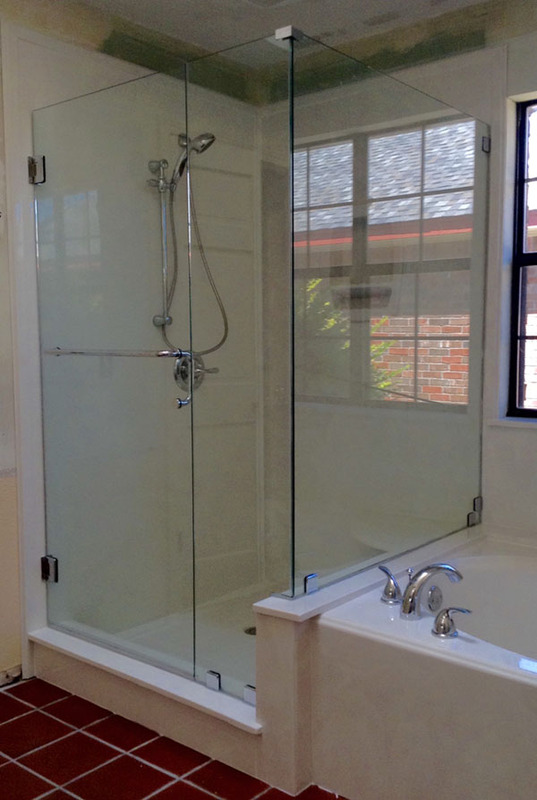 Contact Clayton's Glass TODAY to start planning your new glass shower. Your new glass shower door from Clayton’s Glass comes equipped with an invisible protective barrier built right into the glass. This shield helps your new glass shower repel water, oils, salts, minerals, and chemicals left from soap and shampoo residue. The naturally repellant surface eliminates the need to scour your glass shower with rough pads and harsh chemicals. Instead, your invisible shield makes shower cleanup a breeze with a simple light application of water and a mild detergent applied with a cloth. No more nasty buildup or scrubbing required. Plus, the natural repellant properties of the shower glass coating make it nearly impossible for mold and bacteria to take hold, leaving your shower clean and germ free! In the past, this type of protective shield for your shower glass was applied just prior to installation, leaving a much weaker bond between the coating and the glass. This older method of coating was not nearly as strong as today’s options and was easily rubbed away through regular cleaning. 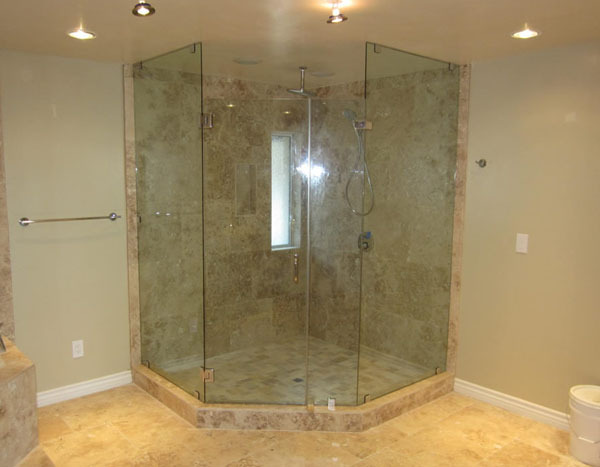 Today, shower glass coatings are part of the manufacturing process which results in a much stronger bond that will easily last 10 years or more without showing signs of degradation, or a reduction in its water, oil, and chemical repelling properties. You can also view our Most Popular Hardware Package or view all shower hardware options.